Research has shown that, as a total body workout, Nordic walking can better improve an individual’s health, fitness and general well-being than natural walking1. An increasing amount of scientific research activity is further investigating the impact of Nordic walking on the human body2. If you are a trained athlete or sportsperson, you can achieve training zone heart rates with Nordic walking. It will, therefore, provide you with an alternative way of exercising major muscle groups at a high intensity. Key general fitness enhancement objectives you can achieve through Nordic walking include improving your physical condition, managing your weight and increasing your aerobic capacity. As the effort of your upper body controls how intensely you Nordic walk, it is possible to walk at the same speed as family and friends whilst exercising at your own optimal level. This makes Nordic walking more enjoyable and you more likely to continue doing it. Research has indicated that high intensity Nordic walking results in better oxygen consumption, higher calorific expenditure and higher heart rate than natural walking3. Exercise intensity can be increased further when running with Nordic walking poles. Nordic walking is an ideal cross-training technique, as it involves whole body muscular activity, high heart rate response and yet a lowered rate of perceived exertion (RPE). This means you can work at a higher intensity for longer more easily than with many other training techniques. As the perception when Nordic walking is that you are exerting less effort than you actually are, you feel relatively more comfortable whilst your heart is working at a significantly demanding level. 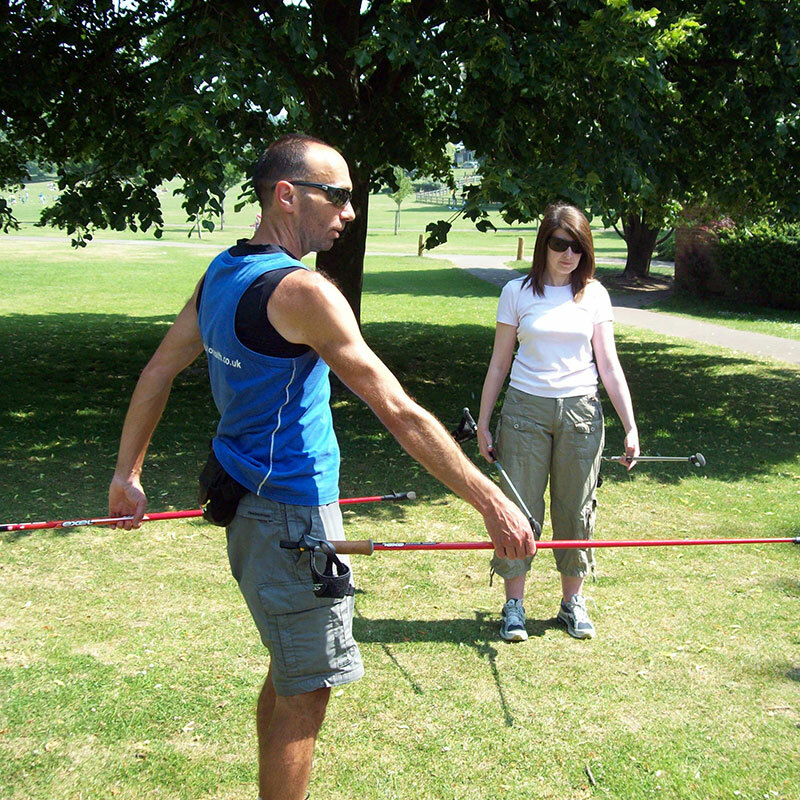 Nordic walking can, therefore, be an exciting, motivating and effective addition to your regular training programme. For anyone with restrictions or complaints of the spine, hip joints, knees or ankles, Nordic Walking provides relief.